Preheat the oven to 150ºC fan oven/170ºC/Gas 4. Put a piece of greaseproof paper on a baking tray. A trick to stop the paper from sliding all over the place when you come to spread out your meringues is to put a few spots of oil between the paper and the tray. Put the egg whites in a clean bowl, as, if there is any grease in the bowl, it will not work. Whisk with the mixer until the egg whites make soft peaks. Add the sugar a little at a time and keep whisking. The meringue will become ‘glossy’. Don’t be in a hurry; this process may take 3 – 4 minutes. Once all the sugar is added, spread the meringue on the greaseproof paper (make a circle which will fit on a plate). Place in the oven for 1 hour. After 1 hour turn off the oven. Leave in the oven for 20 minutes as it cools down. This makes a Pavlova which is very ‘gooey’ in the middle. 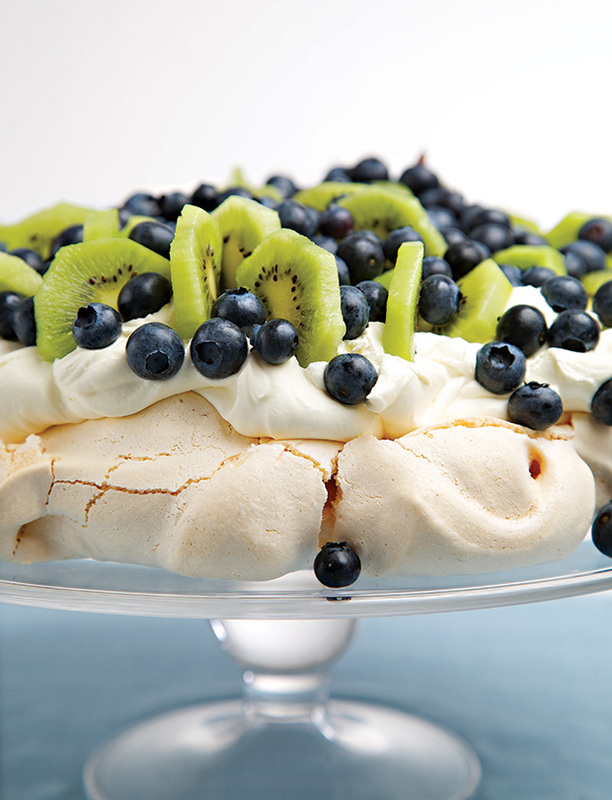 If you like a drier Pavlova leave the meringue in the oven until the oven is completely cooled. Once the meringue has completely cooled, spread the whipped cream over it and add the fruit to the top. Leave in the fridge until needed.